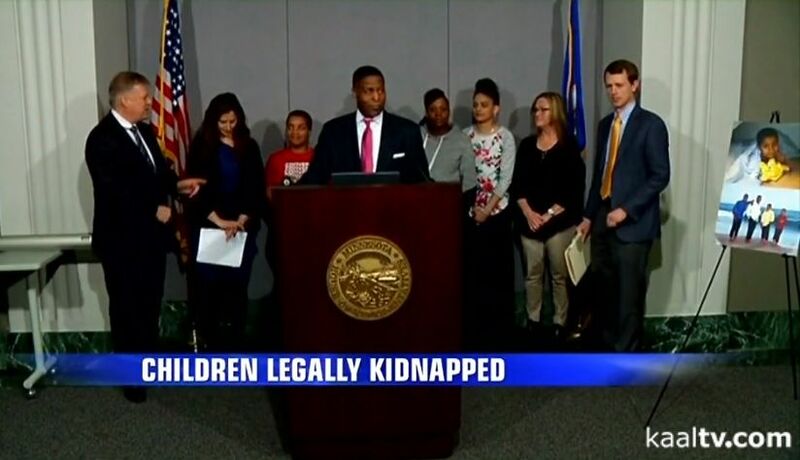 This past week (April 2018) a group of Minnesota parents filed a federal civil rights lawsuit accusing Dakota County and the State of Minnesota for kidnapping their children and placing them unnecessarily into foster care. The lead plaintiff in the lawsuit is Dwight D. Mitchell, who founded an association of parents called Stop Child Protection Services From Legally Kidnapping, which has about 250 members in Minnesota. Mr. Mitchell and several parents held a press conference at the State Capital last week, and Mr. Mitchell was interviewed by several local media sources. Mr. Mitchell explains how he had his three children removed from his home because a family babysitter reported him to CPS for a "bottom spanking" with one of his children. It took him almost 2 years to get his son back home.